Iowa State President Gregory Geoffroy: Tenure Machine? In light of the recent debacle at Iowa State University over the denial of tenure to acclaimed astronomer Dr. Guillermo Gonzalez, a number of very interesting facts concerning the one who denied Gonzalez tenure—Iowa State President Gregory Geoffroy—have been revealed. I know extremely well how to assess the qualifications of a candidate seeking tenure. Over the past two decades -- as dean of Penn State's College of Science, provost at the University of Maryland and as president of Iowa State -- I have reviewed and passed judgment on close to 1,000 faculty promotion and tenure cases. And while I have not worked in Dr. Gonzalez's field of astronomy, I have a significant understanding of the field and far greater experience than most university presidents. One thousand faculty promotion and tenure cases? And only over the past two decades? Let’s look at the math. President Geoffroy has been reviewing tenure cases for two decades, which is 20 years. In these 20 years he has supposedly reviewed 1,000 cases. This means he reviews on average 50 cases a year. At that rate, he reviews one case a week, taking only two weeks off every year for summer vacation, winter vacation, Thanksgiving, spring break, national holidays, personal days, and sick days. This is not to mention the other duties he had at Penn State, the University of Maryland, and now has at Iowa State. Quite impressive, if you ask me. It seems that President Geoffroy is a tenure machine. 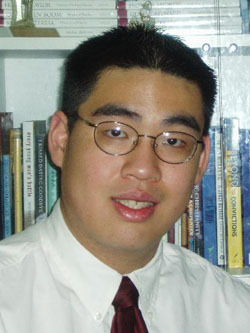 I specifically considered refereed publications, his level of success in attracting research funding and grants, the amount of telescope observing time he had been granted, the number of graduate students he had supervised, and most importantly, the overall evidence of future career promise in the field of astronomy. As has been mentioned on this blog before, Gonzalez has a very impressive referred publication record. While ISU’s Department of Physics and Astronomy (which Geoffroy calls “one of our strongest academic programs”) requires “the publication of approximately fifteen paper of good quality in refereed journals,” Gonzalez has nearly 70 such papers, exceeding his department’s requirements by over 350%. And concerning the “most important” factor—the future promise of Gonzalez in the field of astronomy—the facts are overwhelming. Gonzalez is the author of Observational Astronomy, a textbook published by Cambridge University Press and used in Iowa State University astronomy classes. His work had been cited nearly 1,500 times by the year 2005 and, besides the nearly 70 peer-reviewed papers, he has served as a referee for a number of the world’s leading astronomy journals, such as Astronomical Journal, Astronomy and Astrophysics, Astrophysical Journal, Icarus, Monthly Notices of the Royal Astronomical Society, Nature, Naturwissenschaften, Publications of the Astronomical Society of Japan, Publications of the Astronomical Society of the Pacific, Origins of Life and Evolution Biospheres, and Science. In addition, Gonzalez has produced research which has led to the discovery of two planets and he is currently building technology to discover extrasolar planets. He has also served on the NASA Astrobiology Institute Review Panel (2003) and on the National Science Foundation Advanced Technologies and Instruments review panel (2005). a physics department is not obligated to support notions that do not even begin to meet scientific standards. This is all very telling considering the fact that ISU grants tenure to 91% of its applicants. And so is Iowa State President Gregory Geoffroy against academic freedom? It doesn’t seem like it. Geoffroy hired as his vice-president and provost at ISU Elizabeth Hoffman, the former president of the University of Colorado. Why did Hoffman leave Colorado? Because her time there was marred with scandal among both students and professors. Most notably, Hoffman defended the academic freedom of Ward Churchill, the professor of ethinc studies at the University of Colorado who referred to many of those who died in the World Trade Centers on 9/11/2001 as “technocrats” and “little Eichmanns.” After Hoffman’s defense of Churchill, Geoffroy found her to be qualified in being the vice-president and provost of ISU. In sum, the “tenure machine” Geoffroy seems to be nothing more than a tyrannical president and an embarrassment to Iowa State University, the Big XII, and academia everywhere. This just appeared on First Things. It is an excellent assessment of Richard Dawkins and his newest book, The God Delusion, written by Dr. Francis J. Beckwith of Baylor University. According to Dawkins, Wise was at one time a promising young scholar who had earned a degree in geology (from the University of Chicago) and advanced degrees in geology and paleontology from Harvard University, where he studied under the highly acclaimed Stephen Jay Gould. Wise is also a young-earth creationist, which means that he accepts a literal interpretation of the first chapters of Genesis and maintains that the earth is less than ten thousand years old. It is not a position I hold, and for that reason I am sympathetic to Dawkins’ bewilderment at why Wise has embraced what appears to many Christians to be a false choice between one controversial interpretation of Scripture (young-earth creationism) and abandoning Christianity altogether. At one point in his career, Wise began to understand that his reading of Scripture was inconsistent with the dominant scientific understanding of the age of the earth and the cosmos. Instead of abandoning what I believe is a false choice, he continued to embrace it, but this lead to a crisis of faith. Wise writes: “Either the Scripture was true and evolution was wrong or evolution was true and I must toss out the Bible. . . . It was there that night that I accepted the Word of God and rejected all that would ever counter it, including evolution. With that, in great sorrow, I tossed into the fire all my dreams and hopes in science.” So Wise abandoned the possibility of securing a professorship at a prestigious research university or institute. Of course, some Christians may be just as troubled as Dawkins. So one need not be an atheist to raise legitimate questions about Professor’s Wise’s intellectual and spiritual journey. But, given Dawkins’ atheism, there is something odd about his lament, for it seems to require that Dawkins accept something about the nature of human beings and the natural moral law that his atheism seems to reject. Let me explain what I mean. Dawkins harshly criticizes Wise for embracing a religious belief that results in Wise’s not treating himself and his talents, intelligence, and abilities in a way appropriate for their full flourishing. That is, given the opportunity to hone and nurture certain gifts—for example, intellectual skill—no one, including Wise, should waste them as a result of accepting a false belief. The person who violates, or helps violate, this norm, according to Dawkins, should be condemned, and we should all bemoan this tragic moral neglect on the part of our fellow(s). But the issuing of that judgment on Wise by Dawkins makes sense only in light of Wise’s particular talents and the sort of being Wise is by nature, a being who Dawkins seems to believe possesses certain intrinsic capacities and purposes, the premature disruption of which would be an injustice. So the human being who wastes his talents is one who does not respect his natural gifts or the basic capacities whose maturation and proper employment make possible the flourishing of many goods. In other words, the notion of “proper function,” as Alvin Plantinga puts it, coupled with the observation that certain perfections grounded in basic capacities have been impermissibly obstructed from maturing, is assumed in the very judgment Dawkins makes about Wise and the way by which Wise should treat himself. But this means that his lament for Wise is misguided, for Dawkins is lamenting what only appears to be Wise’s dereliction of his duty to nurture and employ his gifts in ways that result in his happiness and an acquisition of knowledge that contributes to the common good. Yet because there are no designed natures and no intrinsic purposes, and thus no natural duties that we are obligated to obey, the intuitions that inform Dawkins’ judgment of Wise are as illusory as the design he explicitly rejects. But that is precisely one of the grounds by which Dawkins suggests that theists are irrational and ought to abandon their belief in God. So if the theist is irrational for believing in God based on what turns out to be pseudo-design, Dawkins is irrational in his judgment of Wise and other creationists whom he targets for reprimand and correction. For Dawkins’ judgment rests on a premise that—although uncompromisingly maintained throughout his career—only appears to be true. Francis J. Beckwith is an associate professor of Philosophy & Church-State Studies at Baylor University. His most recent book is Defending Life: A Moral and Legal Case Against Abortion Choice. Cambridge University Press, 2007). Iowa State University's President Gregory Geoffroy informed Dr. Guillermo Gonzalez, who was seeking tenure and a promotion in the Department of Physics and Astronomy, on Friday, June 1, 2007 that his appeal for tenure had been denied. Gonzalez had been denied tenure despite having a very-impressive list of achievements. It didn't matter that Gonzalez had discovered two new planets and is currently building technology to discover extra-solar planets. It didn't matter that Gonzalez had written Observational Astronomy, a college-level textbook published by Cambridge University Press and used in Iowa State University classes. It didn't matter that Iowa State requires about 15 published peer-reviewed articles for their professors to receive tenure and that Gonzalez had published nearly 70 such peer-reviewed articles published. None of the other achievements or qualifications of Gonzalez made any difference to the tenure review committee at ISU. The only thing that mattered to ISU was that Gonzalez accepted intelligent design theory. This became evident when 120 ISU professors signed a letter criticizing intelligent design as not scientific, when various professor in Gonzalez’s department were linked to a powerful anti-intelligent design organization (the National Center for Science Education), and finally, when Dr. John Hauptman (who is the the same departed as Gonzalez at ISU) published an op-ed in the Des Moines Register claiming that Gonzalez was rightly denied tenure because he didn’t understand what was and wasn’t science. What Iowa State University did here was eliminate a brilliant scientist because of his view on a very controversial issue. They—a public university funded by taxpayer money—participated in what the U.S. Supreme Court has referred to as “viewpoint discrimination. As a fellow member of the BIG XII Conference (Baylor University), I am thoroughly disappointed with Iowa State. 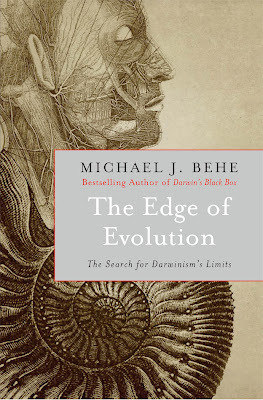 Dr. Michael J. Behe, biochemist at Lehigh University and author of the best-selling Darwin's Black Box (Free Press, 1996) has authored a new book. The Edge of Evolution: The Search for the Limits of Darwinism was released today. This book should be an excellent read. To order your own copy of The Edge of Evolution, go here. To order your own copy of Darwin's Black Box, go here. For a review on The Edge of Evolution, go here.